The book is about the construction, development and validation of a psychometric test called Personal Meaning Scale Inventory (PMSI). 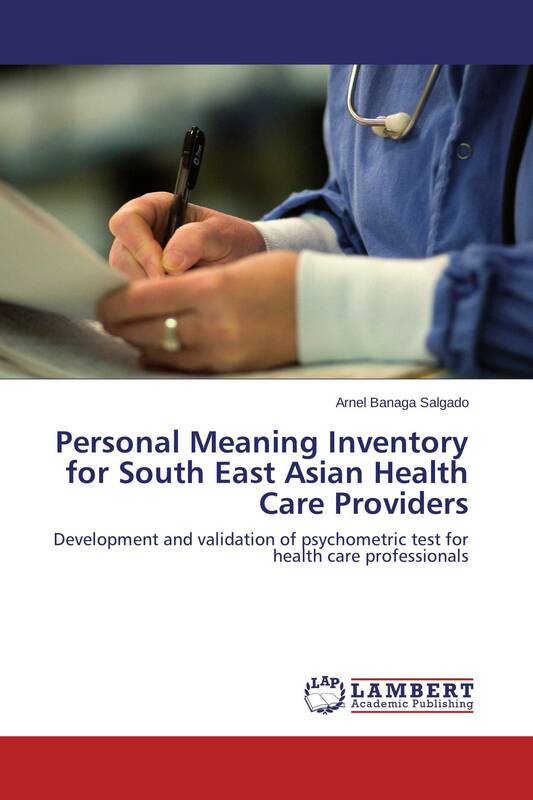 The Inventory was developed in order to help in the assessment of the south east asian care providers whose ages range from 15- 25. The instrument will help to measure the level of meaning and self-worth of those who will enter the nursing and medical professions. Developing PMSI is a modest effort to contribute in the indigenization and development of psychological theory and testing for nursing and medical education. The inventory is made up of sixty items developed and validated under these categories: Experiences of Choice (EOC), Experiences of Priorities EOP), Experiences of Sufferings (EOS), Experiences of Religion (EOR), and Experiences of Transcendence (EOT).